As promised it is time for Red Meat Night. I only make it once a week for the Family, simply because I know red meat isn't the healthiest option. 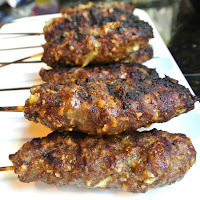 If you are not a red meat lover, you can use ground turkey for this recipe. If you have vegetarians in your family like I do, you can give the meat to the meat lovers and the rice to the veggie lovers. 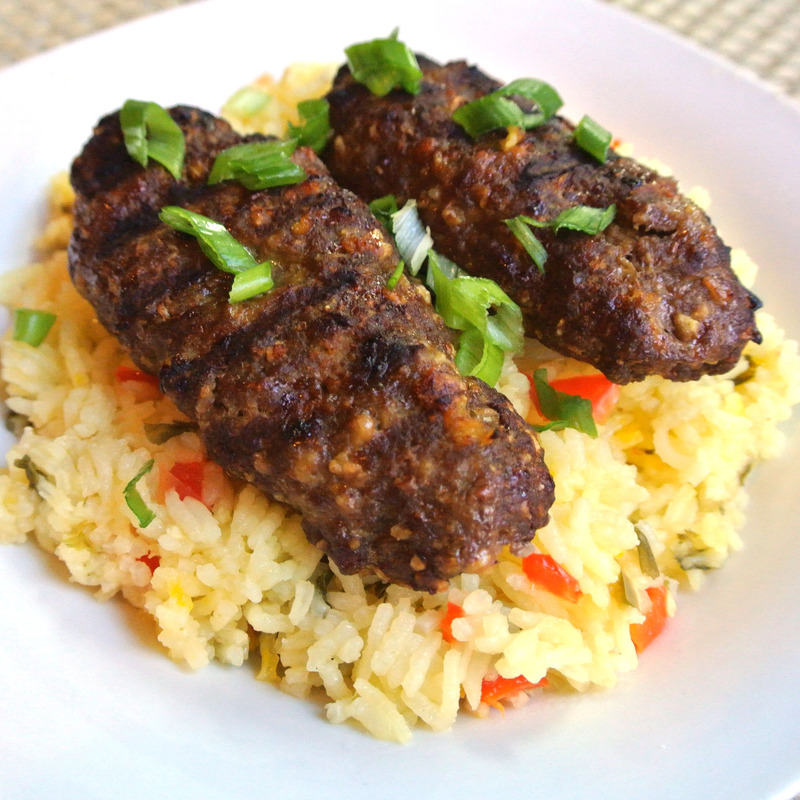 This dish is full of Persian flavor. If you like spice, this is your dish. Eat it together, bite of meat and rice. The two compliment each other and are meant to be eaten together. I personally could eat just a big bowl of the spicy rice! Turn on your barbeque to medium heat. Add chip crumbs, sirloin, onion, salt, lemon, baking powder, pepper, turmeric and saffron. 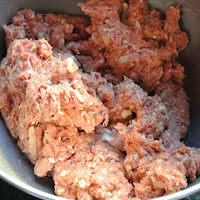 Add ground beef and mix thoroughly. Shape the meat around your kebabs. 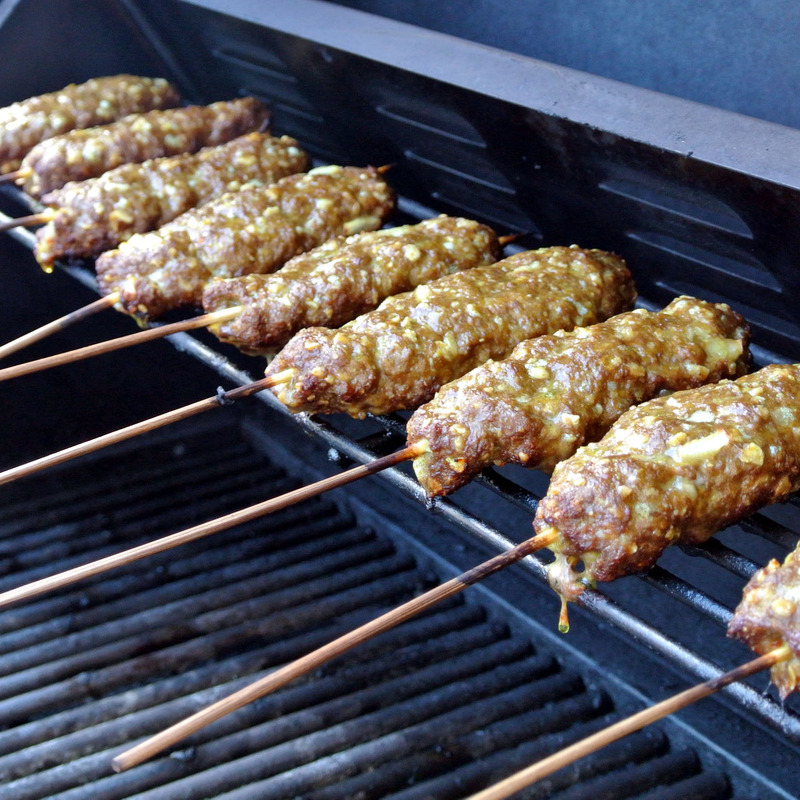 Place on the grill. Grill the kebab, turning once, until meat is browned on the surface.I would give you a time, but since every grill heat is different, just watch your meat. 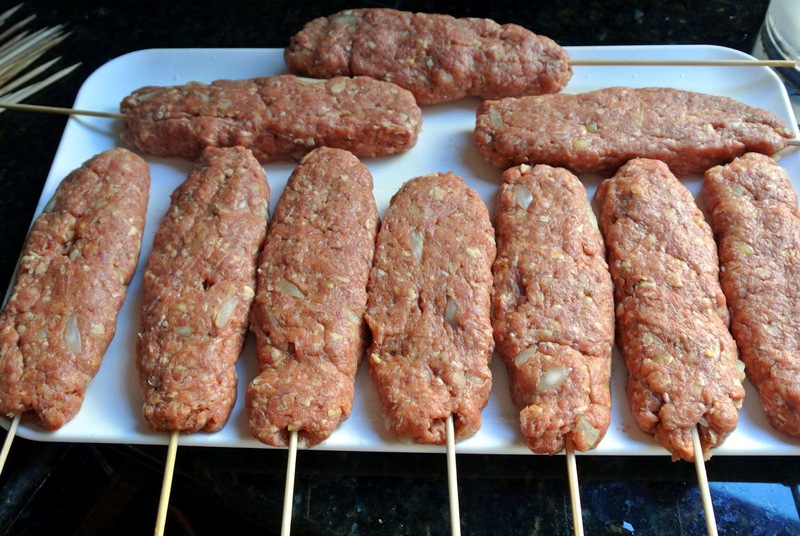 The meat should easily slip off the sword after baking. 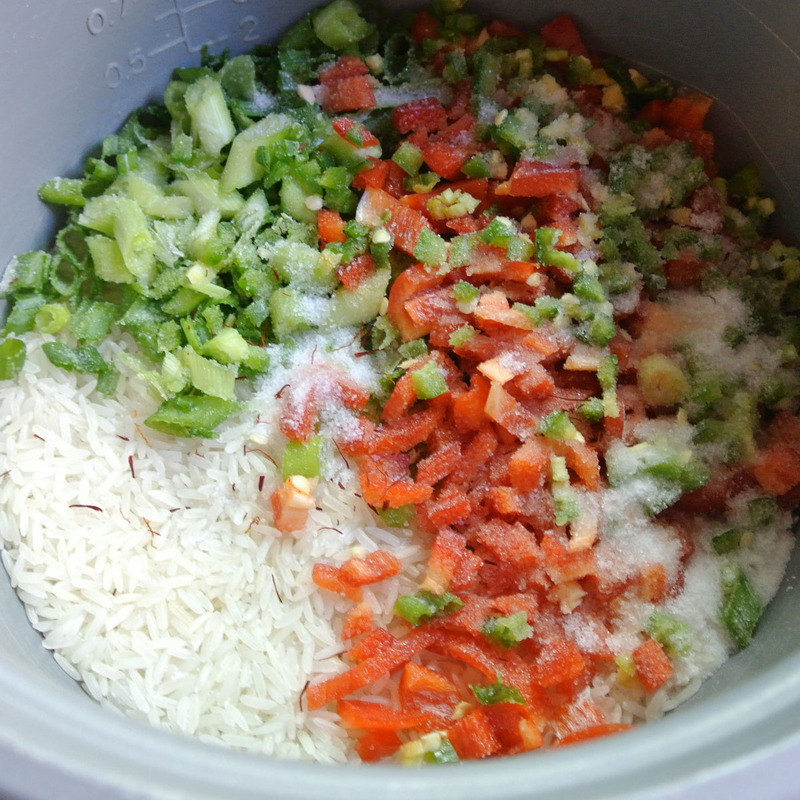 In your rice cooker add: Rice, green onions, red pepper, jalapeno pepper, saffron, sea salt. Cover and push the cook button. 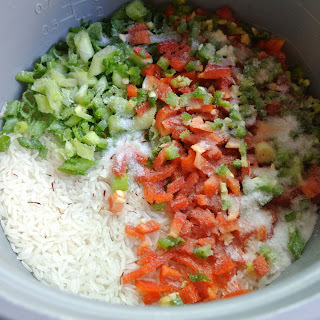 Your rice will be ready in approximately 20 minutes. 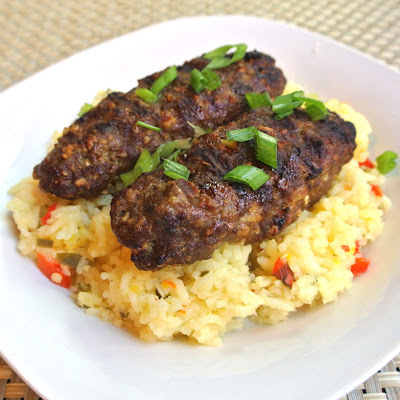 To serve, pull the meat off the kebabs and serve on top of spiced jasmine rice.